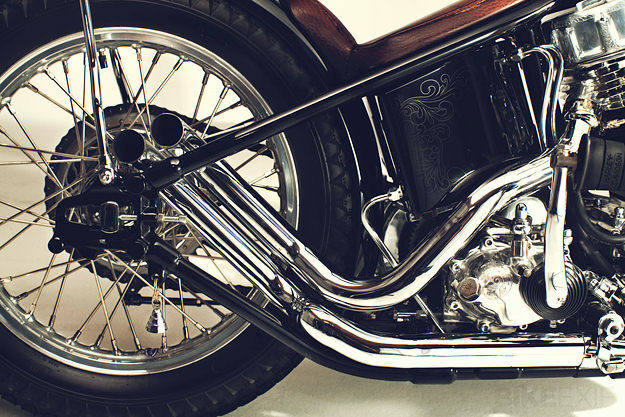 The bike in question is Owens’ take on a 1960s chopper. It’s called Siksika, which means “black foot” in the Algonquian language of the same name. 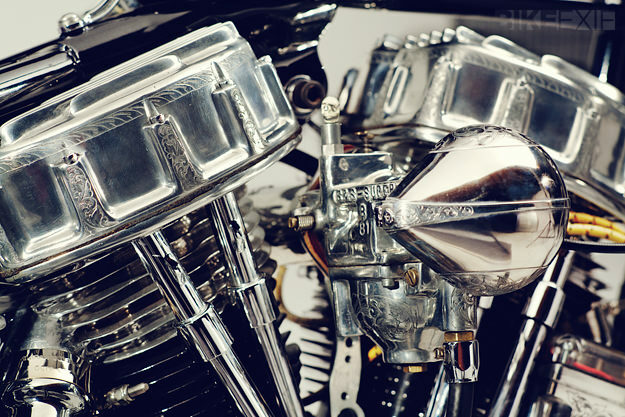 The rebuilt motor is something of a hybrid, with barrels and heads from a ’48 bike, Wiseco forged pistons, and a genuine S&S Super B carb with accelerator pump. The pipes are modified Paughco upsweeps and the motor is hooked up to a ’49 transmission with a jockey shift. Owens has subtly modified the frame, mostly around the seat, and fitted a classic Wassell tank. Up front he’s installed big twin springer forks—narrowed a couple of inches for a slimline look—and skinny handmade bars. The headlight is from a vintage Packard, and the taillight is a modified 1948 Webster microphone, with LEDs hidden inside. 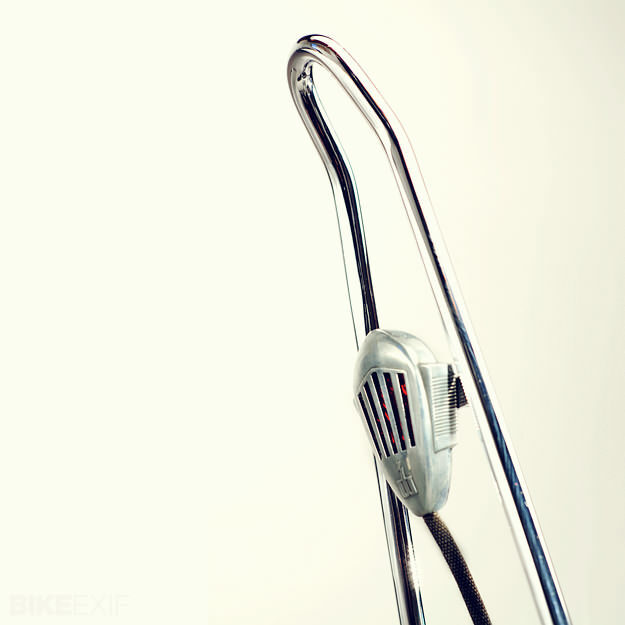 Siksika is an understated bike that rewards close inspection, and reveals its charms slowly. 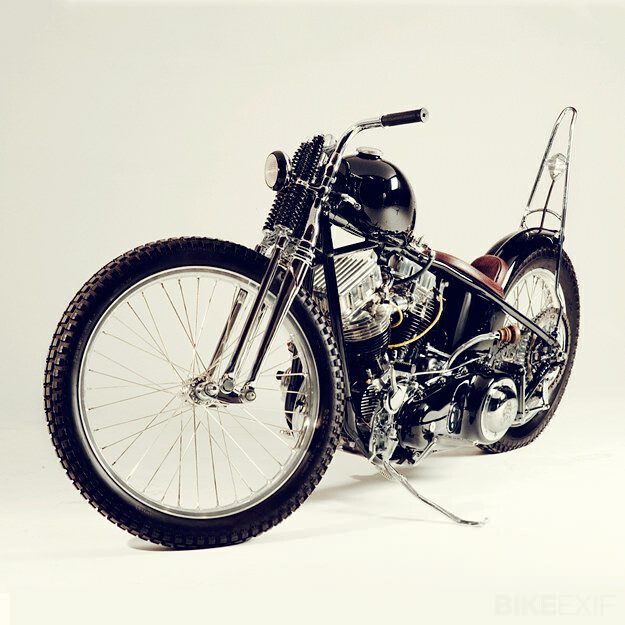 But it’s already causing ripples on the show circuit: Owens took the top spot in the builder voting at Born Free 3, and at the Dave Mann Chopperfest, took first place in the Cali Bobber category. 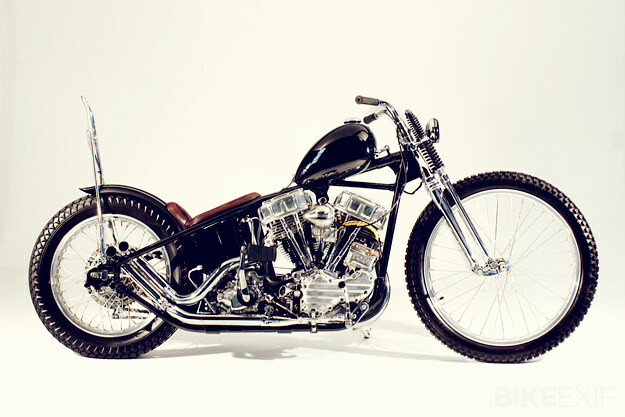 The bike was also Dice magazine’s pick of the show. 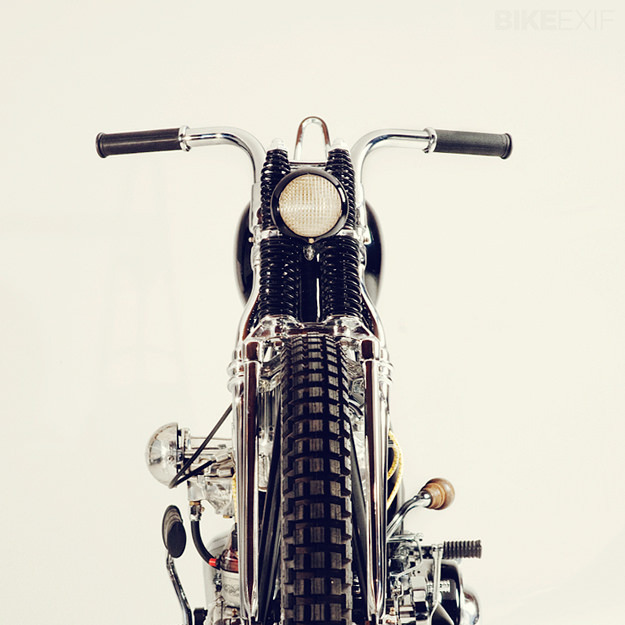 It’s not our usual fare on Bike EXIF, but then again, this is no ordinary panhead. Images by Michael Schmidt Photography. Zaeta 530 DT: Does the dirt track resurgence start here?